As the days grow longer and the sun shines into our homes, there�s no better time to sit back, relax and enjoy what should be your very own serene sanctuary. Our extensive palette of exceptionally rich and sophisticated shades offers you the opportunity to really express your personal style. 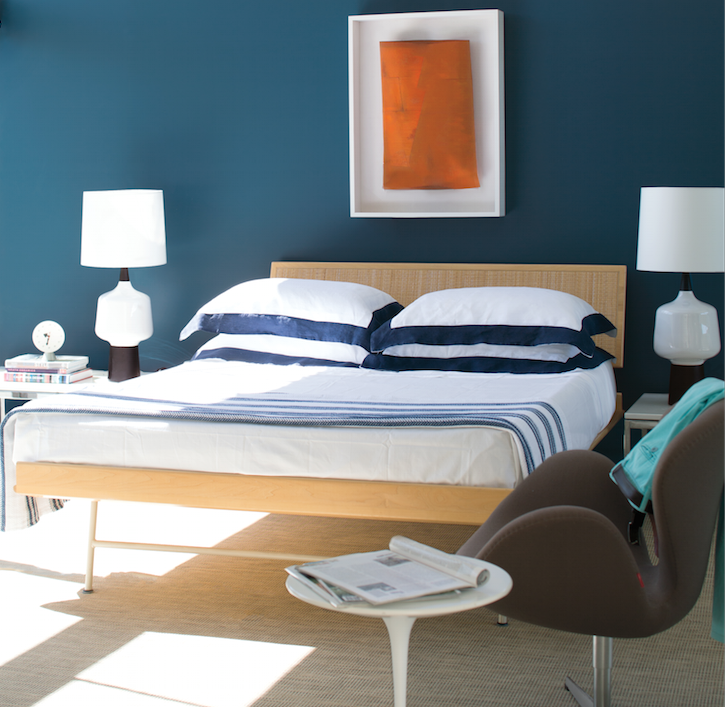 From pale greens to calming blues, the choices are endless for you to create your idyllic dreamy bedroom. Colour has the power to change the look and feel of a room and it�s important you get it right for you and your home. 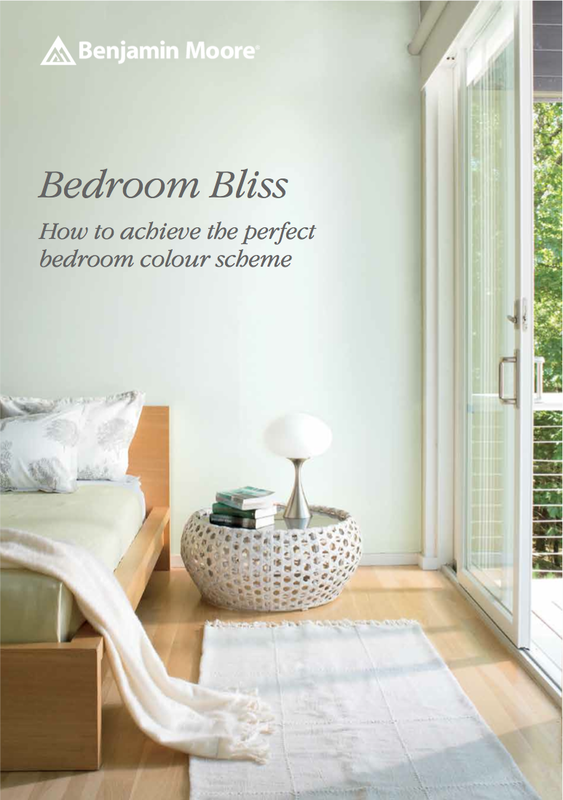 Take a look at our top tips for choosing the perfect bedroom paint scheme to ensure you select your ideal shade. The colour you select for the walls of a bedroom space is one of the most impactful ways to influence both the look and the ambiance of the room. Some people prefer to have a bright and airy room which energises them, whereas others prefer to create a relaxing cocoon. So think about the atmosphere that suits you the best and remember these broad guidelines - warm colours add energy; cool shades are more calming; deep saturated colours will wrap you in a cosy environment; pale shades conjure an airy feel. 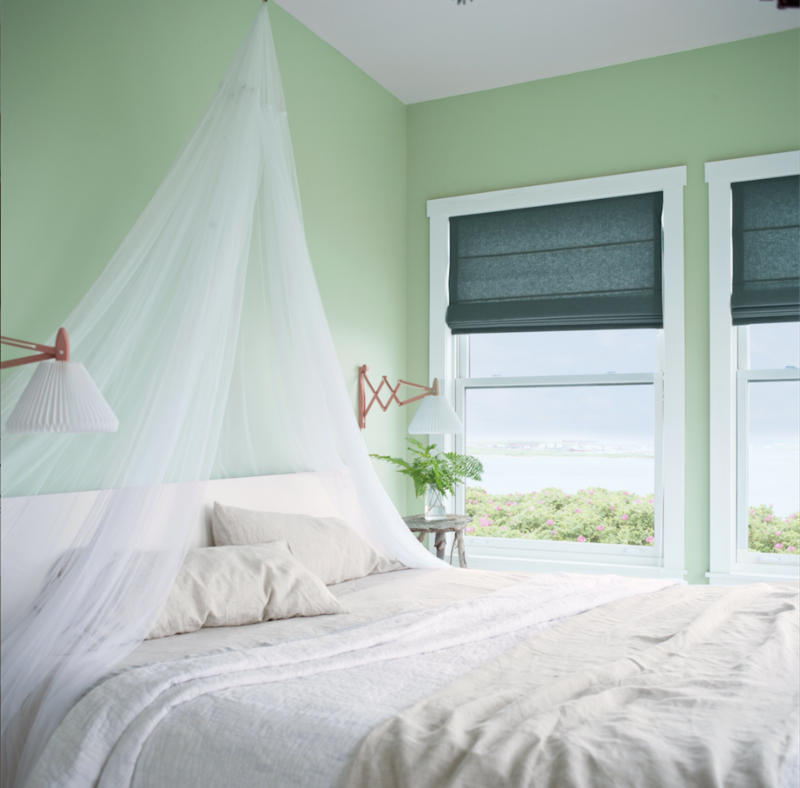 If you are feeling a little overwhelmed by how many colour choices there are, it will help to narrow it down by taking cues from the colours used in your bedding or window treatments. If you are redesigning the whole room, try to pick these items first. 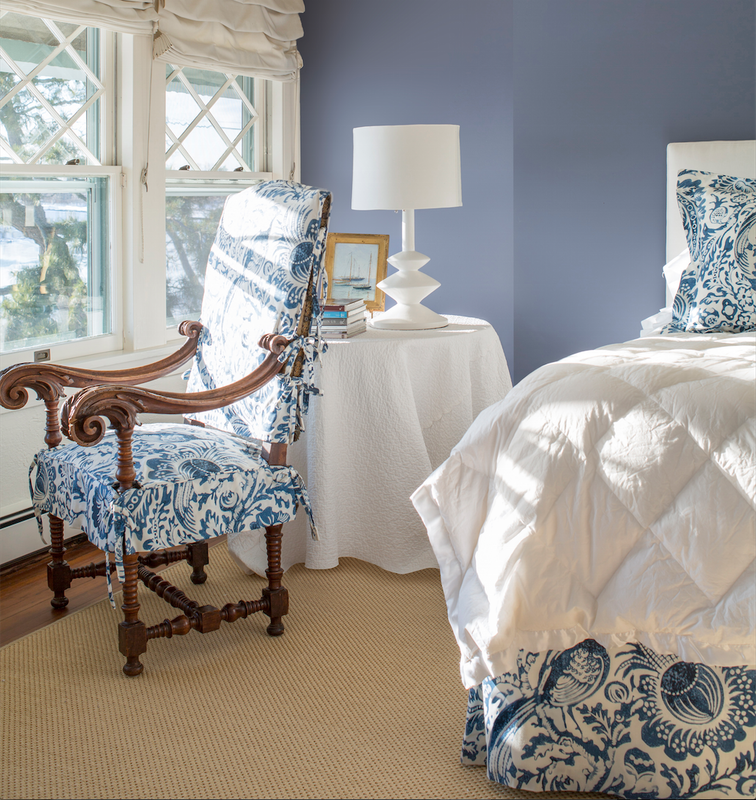 Then you can use the various colours in those fabrics to guide you to complementary or harmonious shades for your paint colour. You can also use the various tools available at BenjaminMoorePaint.co.uk to inspire you with combinations you may not have thought of. People tend to default to trusty neutrals when they are looking to create a peaceful and relaxing space, but other hues work just as well to create a quiet backdrop for more colourful furnishings. 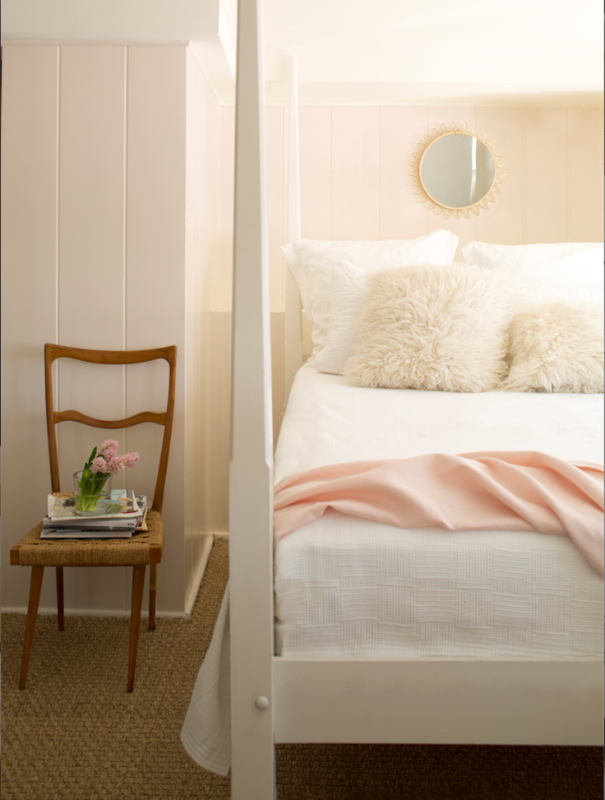 The trick is to make sure your chosen shade has a soft grey undertone - that way you'll be able to create a sanctuary-like feel with any hue in the colour spectrum. If you're worried about being able to spot the undertone, our Classic Colour palette is made up of 1680 muted, soft shades. 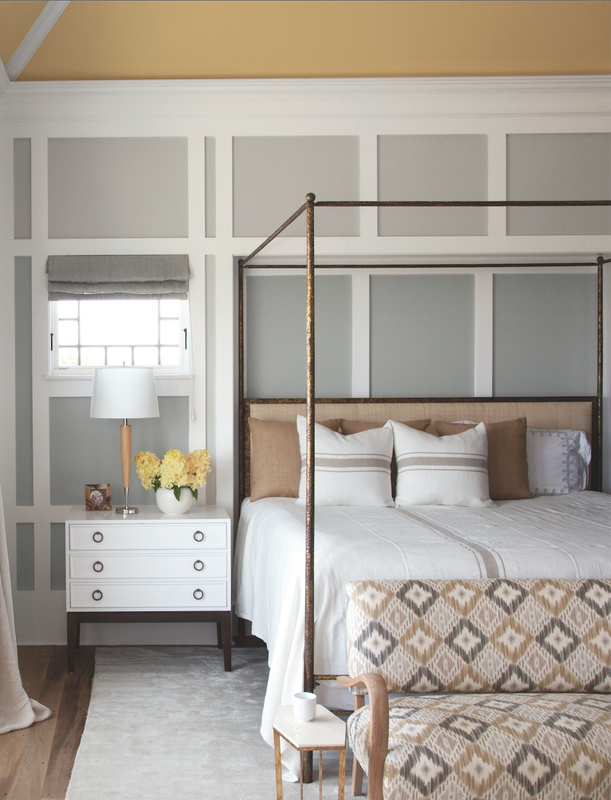 So working within this palette will enable you to find a calming, sophisticated shade in any hue. Tip number 4 - Look up! The bedroom ceiling is the last colour you see before you close your eyes at night and the first one that greets you in the morning. There's no reason to go with cold and clinical Pure Brilliant White, so how about picking a prettier shade. 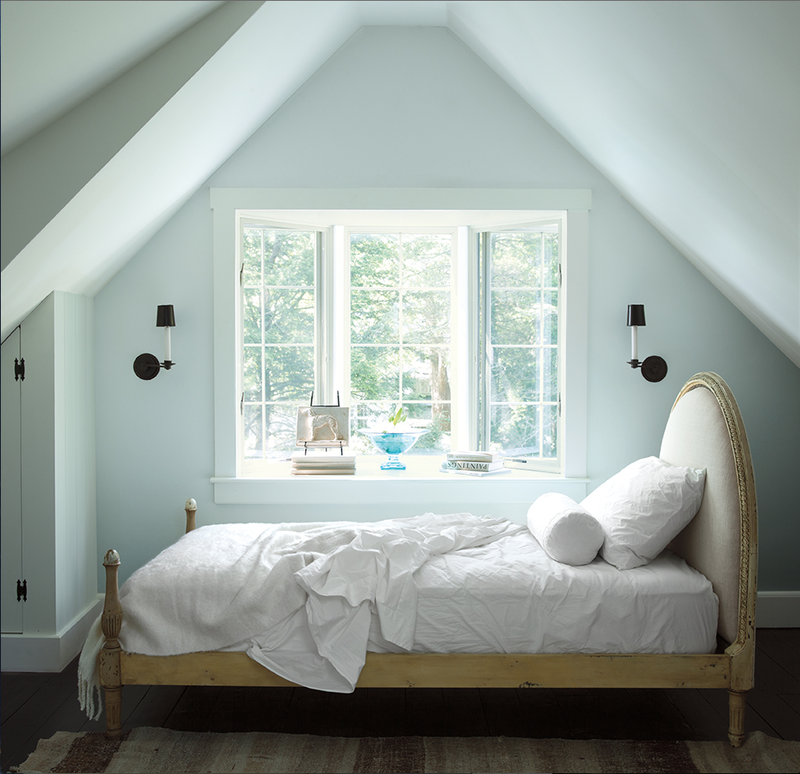 Painting the ceiling a lighter shade of the wall colour will make the room feel more open without the stark contrast and without making the ceiling feel too low. Use the spectrum of colours in the "more shades" section below each colour on our website to find the perfect lighter tone for your ceiling. Lower walls in Metropolitan AF-690, upper walls in Barren Plain 2111-60, ceiling in Concord Ivory HC-12, all in Natura Flat. 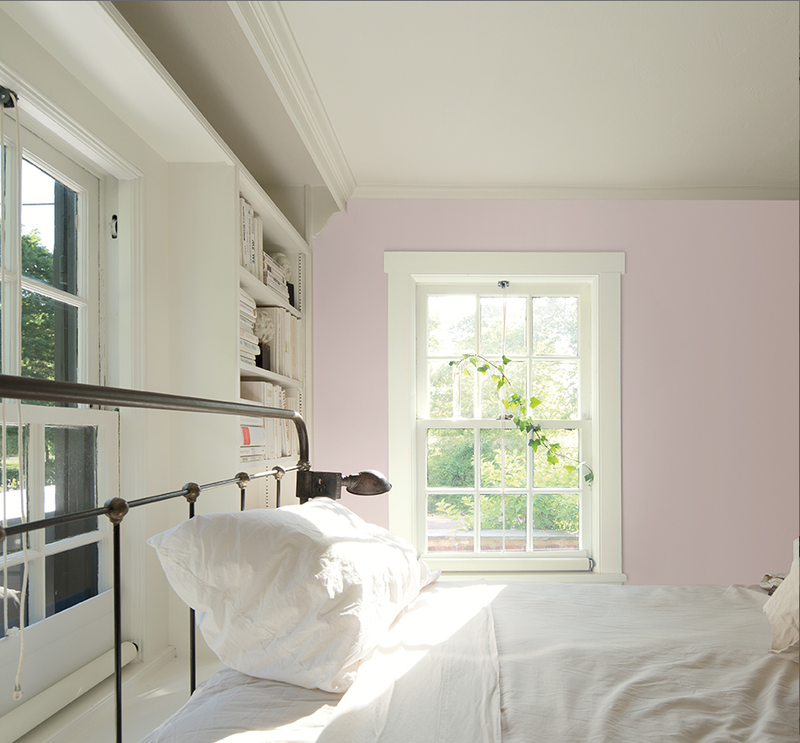 Our Natura� paint is the perfect product for painting a bedroom. 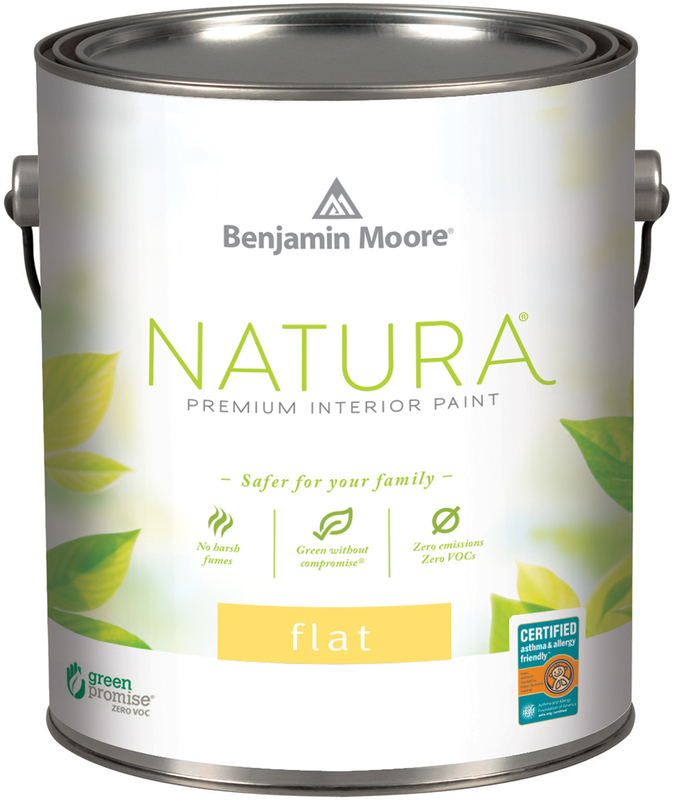 Available in flat and semi-gloss sheen levels, Natura is an emission-free paint, meaning the lingering smell so common with other paint brands, has been eliminated with Natura. 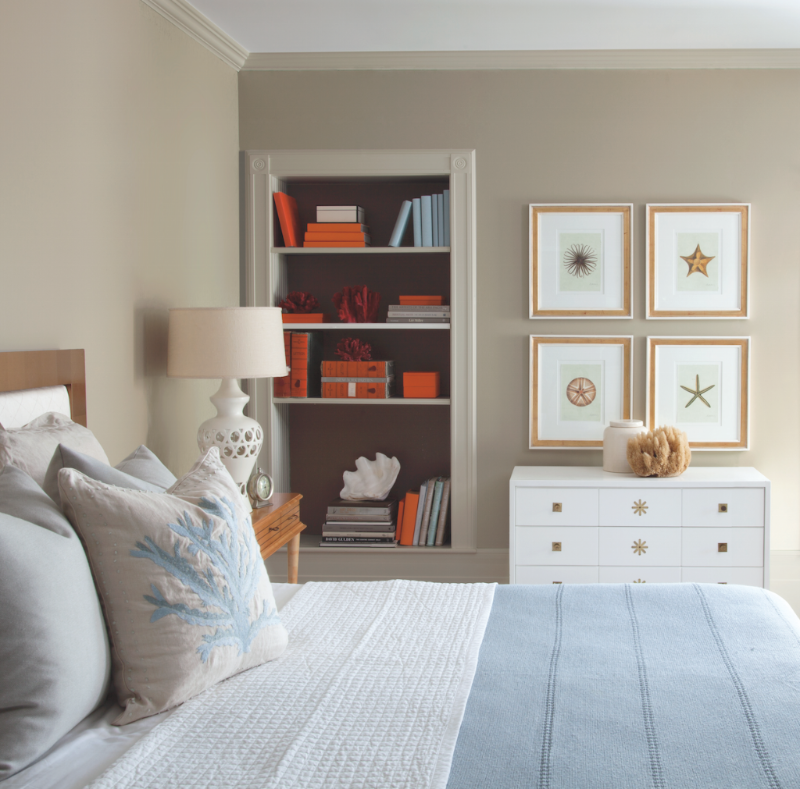 As a result, Benjamin Moore Natura has been certified as asthma and allergy friendly� by the Asthma and Allergy association of America. Bespoke Decor in Ballymena, Northern Ireland has become an authorised stockist of Benjamin Moore paints. They stock the full Aura interior range, Advance Waterborne Alkyds, Ceiling Paint, Ultra Spec 500 and a selection of our primers. 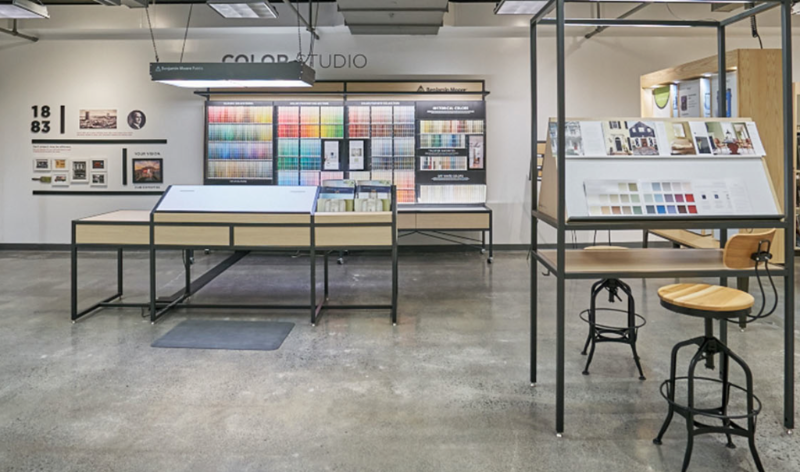 In their Ballymena showroom, Bespoke Decor have all 3,500 colours on display and experts on hand to guide you through your colour selection. 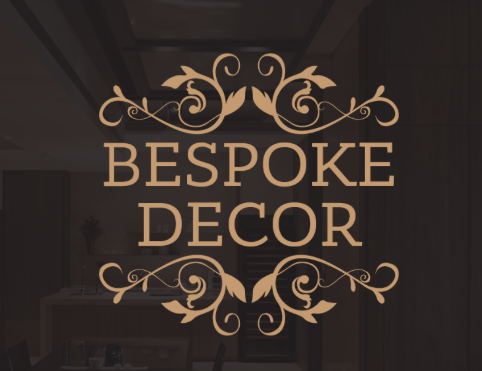 Bespoke decor is owned and managed by David Robinson and Sons, who also have a long established decorating business. For more information visit our Stores page.